You might have noticed the red brick firebox. It's regular solid facebrick (no cores) laid in regular Portland cement mortar. They didn't have firebrick in 1760 and my customer didn't like that "ugly yellow firebrick". I told him facebrick couldn't take the thermal shock and would crack and spall, but I couldn't convince him. A year after I built the fireplace he called to tell me how much he enjoyed the fireplace and oven. He said five of the brick in the fireback had cracked and the face had spalled off another one. "It's great", he said. "The fireplace is only a year old and it already looks as if it's 200 years old." Another sort of customer would have had me back out to replace brick six times. 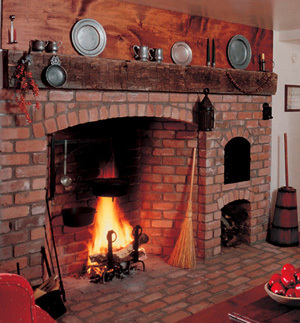 This five foot wide cooking fireplace and bread oven was built in 1990 and is a pretty good reproduction of a Williamsburg style working fireplace circa 1760. The date, of course, predates Rumford but there were many of these workhorses built in summer kitchens all over the east and midwest up through about 1850, often coexisting with Rumford fireplaces in the main house. The Rumfords were for heat but you didn't necessarily want the fireplace you cooked on to heat - not in the summer anyway. 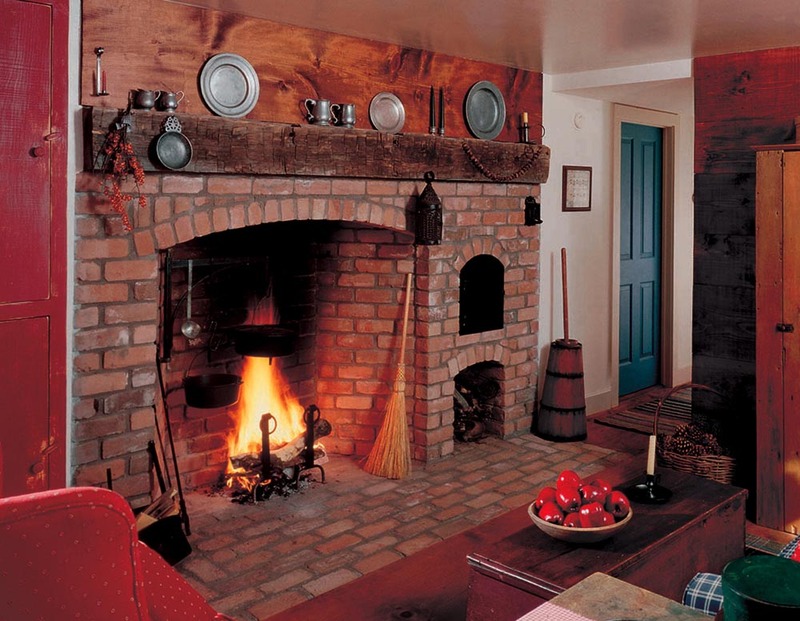 These days when we build an early American cooking fireplace it is generally in the "great room", not the summer kitchen, and the man of the house is cooking, not the servants. So we make some compromises. This fireplace is a Rumford fireplace and has an efficient rounded throat and smaller flue than it's 1760 ancestor would have so it won't be too inefficient. 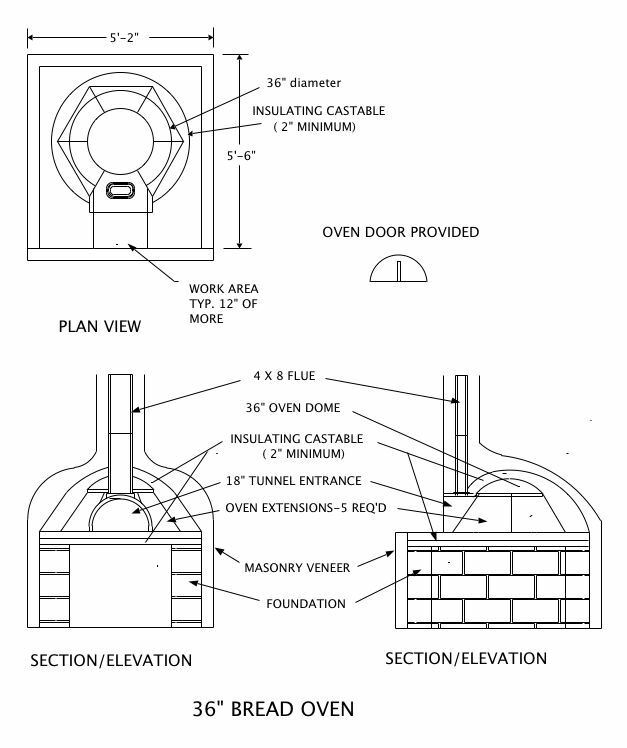 Note: We have improved our oven designs, now at Superior Clay Ovens. Here, however, is a plan of the fireplace in the picture.